Have a Burning Business Question? Ask the Expert: Matt Ehrlichman. Starting a company is one thing but running one requires a completely different skill set. Indeed, passion, ambition and having a vision alone can't scale a business to become a successful endeavor. Entrepreneurs also need to have strong leadership skills, the ability to manage employees and motivate team members to work for the company's mission. To go from founder to CEO isn't easy. 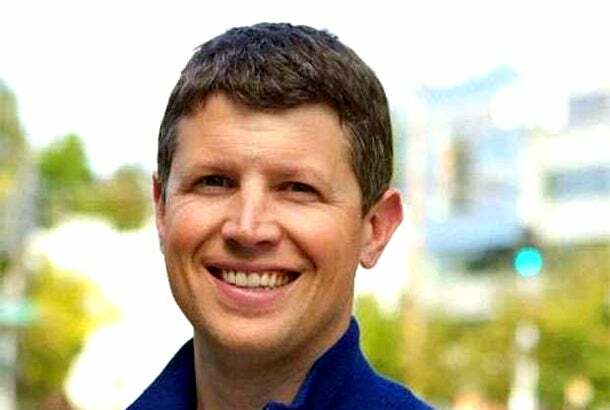 Just ask Matt Ehrlichman, the founder and CEO of home network Porch.com. Ehrlichman has taken Porch.com from a 20-person startup that operated out of his basement to a bustling company with 400 employees. To get there, he had to firmly wear his CEO cap and focus on setting goals for the company, ensuring an open communication policy, determining the right time to scale and building culture. His work paid off. Porch.com has raised more than $100 million in funding, has 3.2 million home professionals on its network and facilitated $2.5 trillion worth of tracked home improvements on its site. Because of his success as a leader, USA Today awarded Ehrlichman its inaugural "Entrepreneur of the Year" award in 2014. Porch.com wasn't Ehrlichman's first rodeo. He also was the co-founder and CEO of Thriva, a company that provides online-registration solutions, before Active Network acquired it in 2007 for $60 million. After the buyout, Ehrlichman joined Active Network as chief strategy officer and grew revenue from $65 million to $420 million before the company went public in 2011. Fortunately for us, Ehrlichman is looking to help entrepreneurs take their business to the next level. "Entrepreneurship is something that is near and dear to my heart. I’ve been building and growing businesses my entire life, and it’s shaped who I am today," says Ehrlichman. "I’d like to help entrepreneurs have similar experiences and create positive results for themselves and the problems they are aiming to solve." For the month of June, we are thrilled to have Ehrlichman as our expert. He is eager to take your questions on leadership, managing employees, growth, strategy, culture and starting a business. Submit your questions in the comments section below or tweet us, using the hashtag #ENTexpert. One topic will be selected by the editors of Entrepreneur and addressed by Ehrlichman in a weekly writeup.